Women's Basic Canvas Sneakers In Array of Colors Only $12.99! You are here: Home / Great Deals / Women’s Basic Canvas Sneakers In Array of Colors Only $12.99! 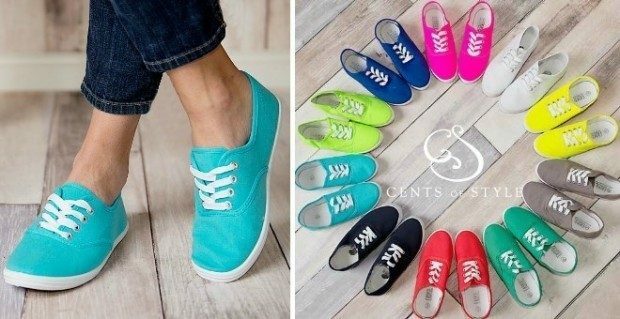 Women’s Basic Canvas Sneakers In Array of Colors Only $12.99! Basic. Colorful. Perfect. If you don’t own a pair of classic canvas sneakers yet, you must! These Women’s Basic Canvas Sneakers In Array of Colors are Only $12.99! They are laid back, comfy, and perfect for spring and summer!